In July of 1918, a small commercial town at the mouth of Buffalo Creek was established and named Buffalo City. On February 5, 1925, the name Buffalo City was changed to Man by the Logan County Circuit Court. The name Man is said to have been taken from the last syllable of the surname of Ulysses Hinchman, who served as a member of the House of Delegates from Logan County from 1866 to 1869. However, some say that it was named for Senator Mann. Other local area names' origins include Buffalo Creek which was named for the large number of buffalo that roamed the area and Huff Creek which was named for Peter Huff whom history notes as a pioneer of the area. The tiny town of Man didn't take long to begin to grow in the early part of the twentieth century. In 1910, with C & O Railroad's planned extension into the town and up the river, the town began to expand and grow. The year of 1913 saw the first automobile in the town. In 1922, McDonald Land Company was formed and the area we now know as South Man was portioned into lots and made ready for purchase. The first school in the area was constructed in 1880. In 1916, plans for the first high school began to be made. The idea of high school in the Man area actually began with a bit of controversy concerning its location. Some wanted the Accoville area while others wanted it to be built in the town of Man. 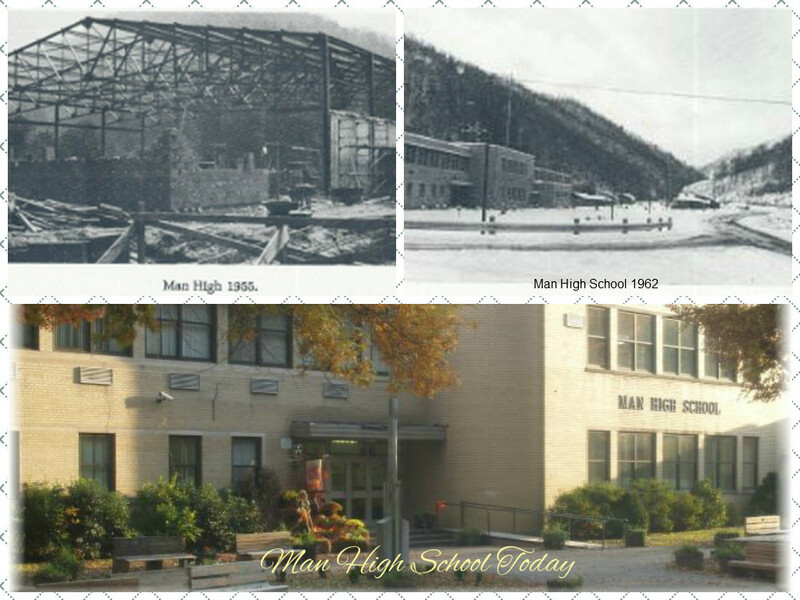 It was eventually decided that the new high school would be called the Triadelphia District High School and would be located in the town of Man. It was opened in the fall of 1917. The school began to grow as the town grew and in the early 1920's, it was recognized statewide for its modern equipment and up to date methods. In its first few years, the high school had a school dormitory for students who lived out of town and were unable to travel daily to the school. This was prior to the beginning of the bus transportation system. By 1922, the district had begun bus transportation and had a total of 3 buses running to transport children from all around the district to school. These early years saw many advances in the educational facilities in the Triadelphia District. As the population grew, the number of schools in the area also multiplied. Throughout the 40's and the 50's, schools were segregated and the children attended separate schools during this time. However, with the desegregation of schools, the need for a central high school led to the construction of the Man High School facility which is located at today's current site.